When a Russian musician defects in Bloomingdale's department store in New York, he finds adjusting to American life more difficult than he imagined. X-men: Apocalypse: Much Talked About Mall Deleted Scene Hits The Web! Having both lost their jobs, two strangers become unlikely friends after a run in with a would be robber, who is actually a hitman with a grudge against the two. A struggling young writer finds his life and work dominated by his unfaithful wife and his radical feminist mother, whose best-selling manifesto turns her into a cultural icon. Tommy Wilhelm is a good honest man who's fallen on hard times after losing his job, but what really gets to Tommy is seeing both his friends and family turning their backs on him one after the other. He tries to seize the day - in vain. During World War II, an ordinary inhabitant of a ghetto fakes the news about Allied offensives to inspiring a hope to another victims of Nazi regime. Set in a world with memory recording implants, Alan Hakman is a cutter, someone with the power of final edit over people's recorded histories. His latest assignment is one that puts him in danger. french man on bus: Excuse me, sir. Does this bus go to the Lincoln Center? 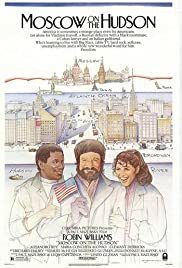 As a Russian immigrant myself, I related the story to myself and liked the movie a lot. For those who never had such an experience, you may start to understand how hard it is to adapt to a new culture and why do people want to migrate in the first place. Also, for those who don't get the Russian culture, this might be kind of an introduction to it. 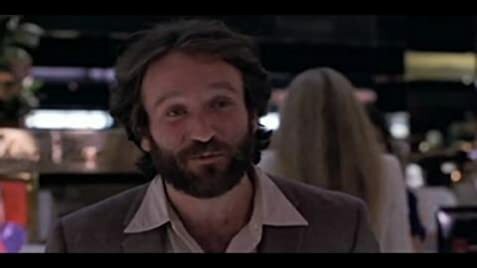 Robin Williams is great as always, and I like especially his comedic style in a semitragic movie, which makes it so much easier to watch. If you have something against new immigrants to America and don't get why they come here at all, watch this movie and you'll understand why. 35 of 39 people found this review helpful. Was this review helpful to you?